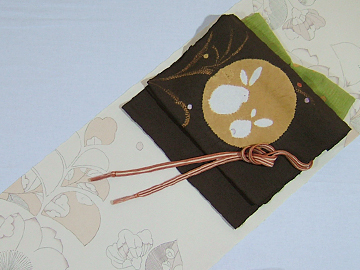 “Akagi pongee” is the beautiful sheen and texture appeal.Even while using fewer colors, it drew to arrange boldly to contemporary a Tsuji-ga-Hana pattern. 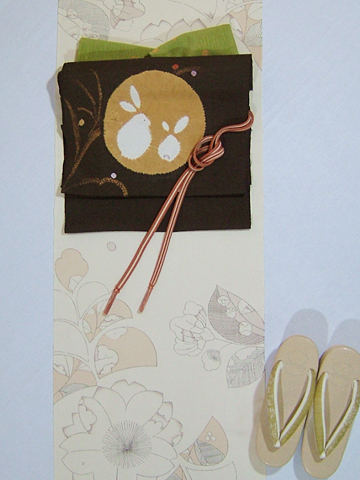 If you use this Obi, it will be a very impressive Kimono. 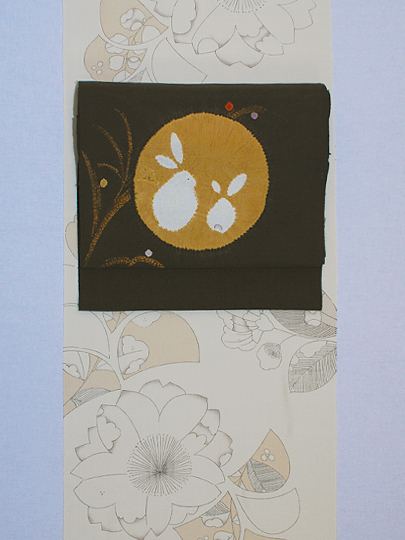 Obi is a dyed Nagoya-obi that was the theme of the Japan of moon viewing rabbit, which is also Akagi pongee. Such as full moon, rabbits, and pampas grass, the state of Japan’s autumn, which has been handed down from the old days, drew in a variety of tie-dye technique. Casual coordination recommended to outing of the autumn. Also in the colors of accessories to express a sense of the season. 和國 -WAPON- 〒948-0003 Cross10 1F, 6-chome, Hommachi, Tokamachi 948-0003, Niigata Prefecture.